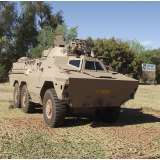 The Ratel 20 carries a three-man crew and can accommodate anywhere from eight to eleven mounted infantry. This main variant of the Ratel features a two-man turret with the first ever dual fed F2 20mm quick firing cannon. The cannon’s primary purposes are to lay down sustained suppressive fire, engage enemy troops and to destroy soft skinned and lightly armored enemy vehicles. The canon can elevate +38 degrees and -8 degrees. The 20 mm cannon fires high explosive (HE) rounds effective up to 2000 m and armor piercing (AP) rounds up to 1000 m. The Ratel 20 also carries three 7.62mm Browning machine guns, one coaxial, one on the turret and one at the rear of the vehicle, which was primarily used for local and air defense. 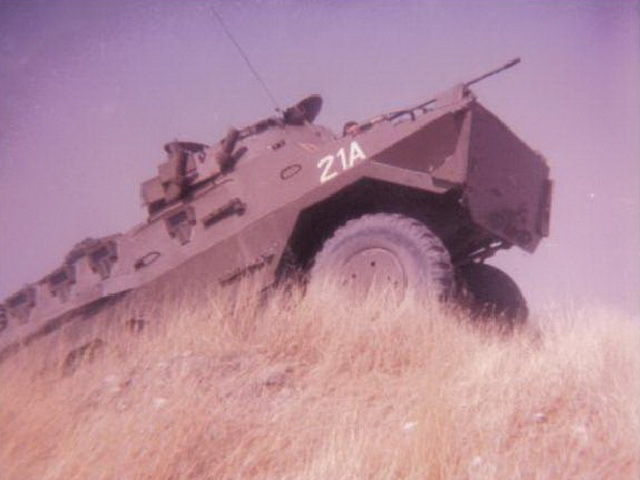 This vehicle was used in many operations during the 26 years long Border War were the merits of the design were proved time and time again. The vehicle was used over long distances, over terrain that it was never intended to be moved across and against targets it was never intended to face, yet it performed admirably. The troops which so often abused the vehicle still refer to their ‘Kalahari Ferrari” with admiration and fond remembrance.